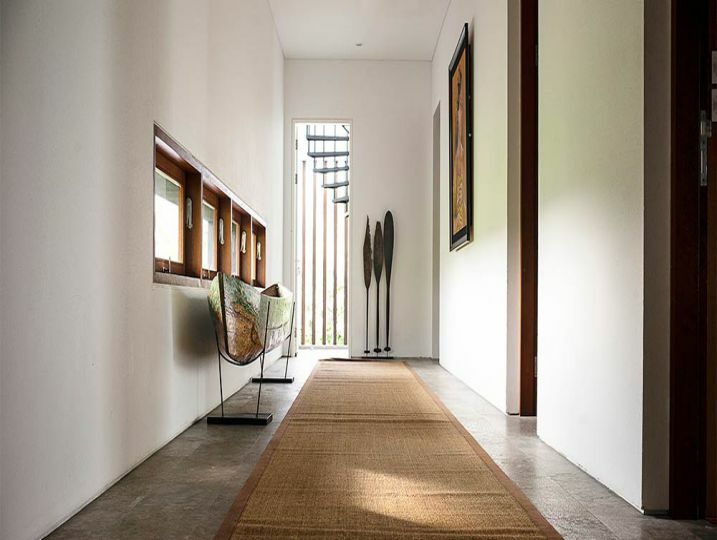 Villa Indrani is an ideal choice if you’re looking for a stylish five-bedroom luxury villa in Canggu with a serious ‘wow-factor’. This spacious beachside haven is spread across three floors and has not one but two elegantly designed master bedrooms with large ensuite bathrooms. 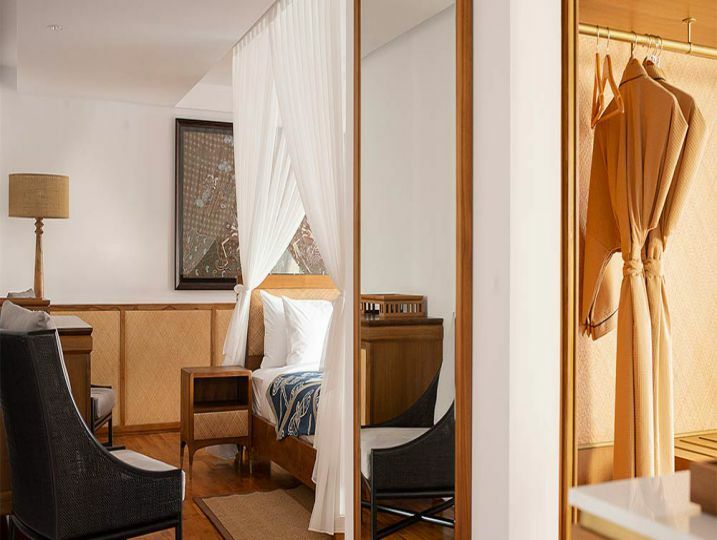 Both bedrooms are mirror images of each other and ooze old-style colonial romance. 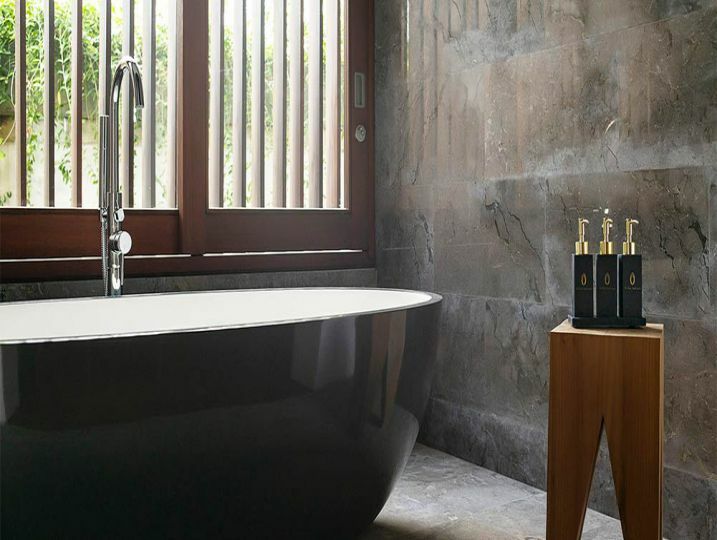 The villa also has three comfortable guest bedrooms – each with ensuite bathrooms and lovely views over the pool and garden. The impressive living and dining space features floor-to-ceiling windows that slide open entirely for an outdoor tropical living experience (or can be kept closed for air-conditioned comfort). The carefully chosen furniture gives this space a lovely mid-century retro feel. With its sumptuous open-plan kitchen, which is exclusively for guest use, this is also a superb space for entertaining. The pool, large sun deck and lawn capture the sun for most of the day and are great for lounging or playing. 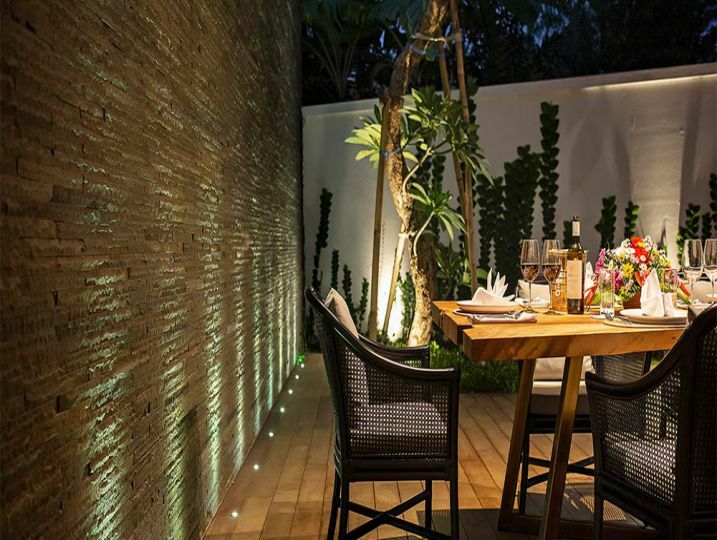 The outside area is also a superb spot for enjoying a sunset cocktail freshly made by one of the villa’s butlers, or sampling some of the private chef’s best Indonesian and western cuisine at the solid-wood dining table. 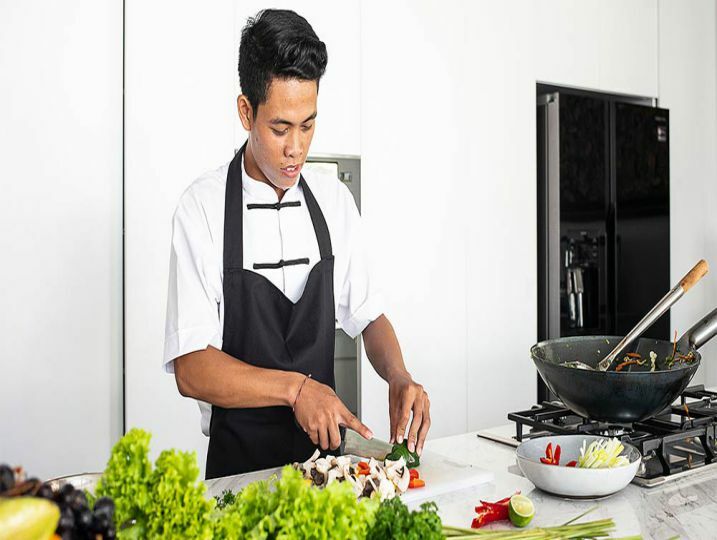 Speaking of which – Villa Indrani prides itself on its highly trained staff, who will happily tend to your every need. 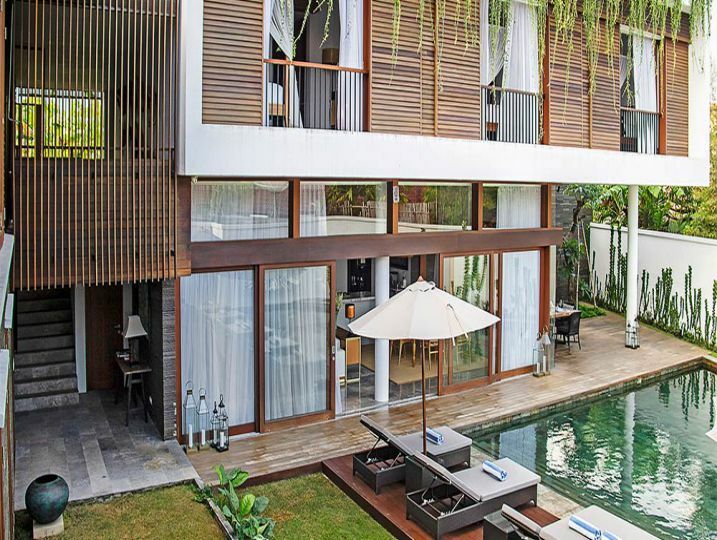 The villa is a short walk from Berawa Beach – popular with a chilled and friendly surfer crowd. 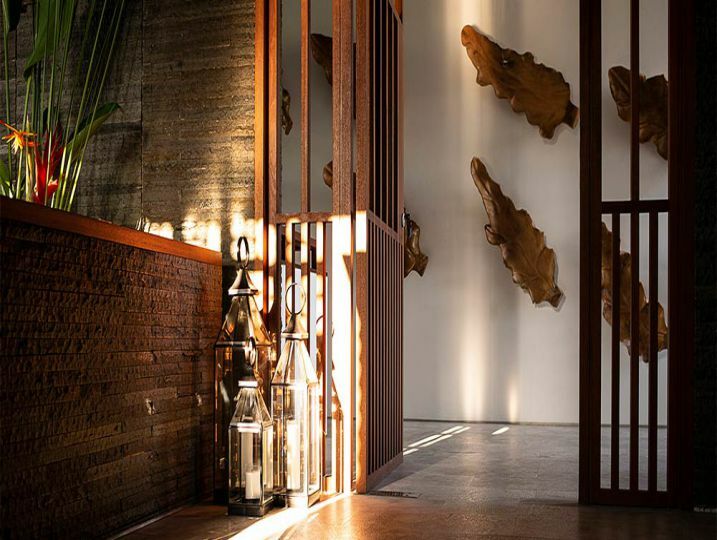 It’s also within easy walking distance of some of Seminyak and Canggu’s best beach clubs and dining spots. 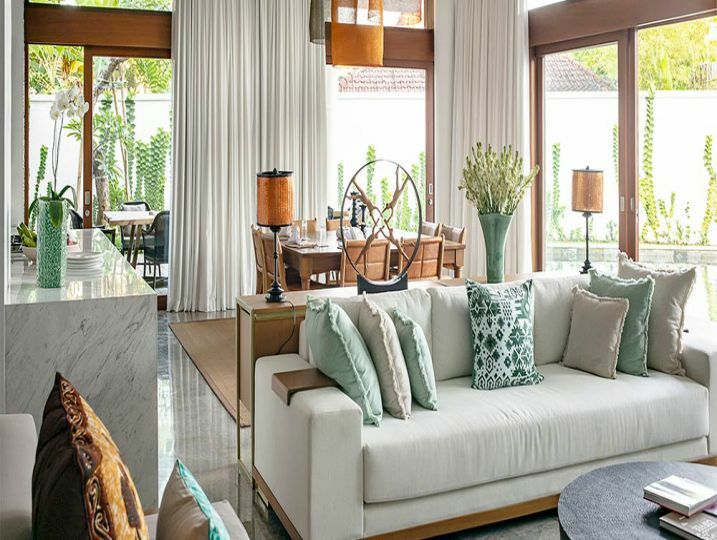 Villa Indrani is perfect for a family with children or a group of friends looking for a sun-soaked beach holiday, or a luxurious base from which they can explore the rest of Bali. 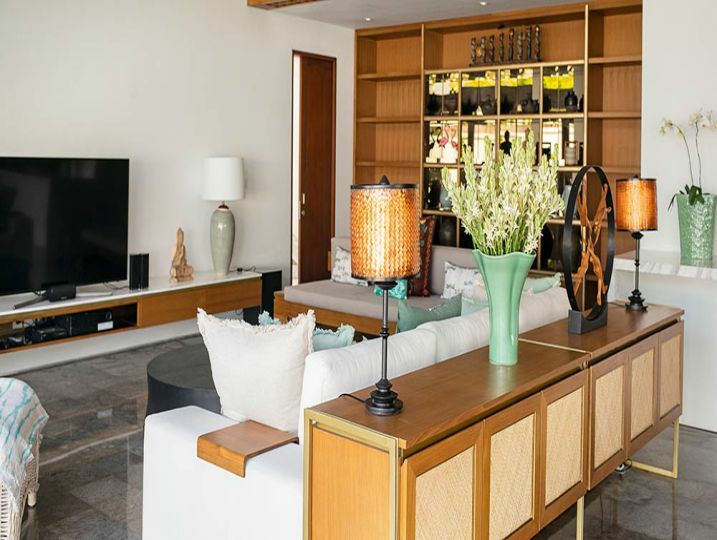 Main Living Area (Semi open-air living area, Air-conditioning, Television with international channels & DVD player, Indoor bar facility). Bedroom 1 (Ensuite bathroom with bathtub, King size bed, Air-conditioning, Television with international channels & DVD player, Toiletries, Walk-in wardrobe, Terrace outside bedroom). Bedroom 2 (Ensuite bathroom with bathtub, Queen size bed, Air-conditioning & ceiling fan, Toiletries, Terrace outside bedroom). Bedroom 3 (Ensuite bathroom, Single size bed, Air-conditioning & ceiling fan, Toiletries, Terrace outside bedroom). Bedroom 4 (Ensuite bathroom with bathtub, King size bed with mosquito net, Air-conditioning & ceiling fan, Sofa, Mini bar, Walk-in wardrobe, Terrace outside bedroom). Bedroom 5 (Ensuite bathroom with bathtub, King size bed with mosquito net, Air-conditioning & ceiling fan, Sofa, Toiletries, Walk-in wardrobe, Terrace outside bedroom with sofa). Kitchen and Dining (Semi open-air kitchen & dining area, Kitchenette). Miscellaneous (Safety deposit box, Baby cot & high chair available, Back-up power supply (e.g. Generator), Ipod Docking System). Property Outlook (Tropical forest views, Swimming pool views, Garden views). Outdoor Entertaining (Outdoor bbq facility, Billiard table). Recreational Activities (Tennis court, Bicycle available). Villa Indrani is available for selected dates.